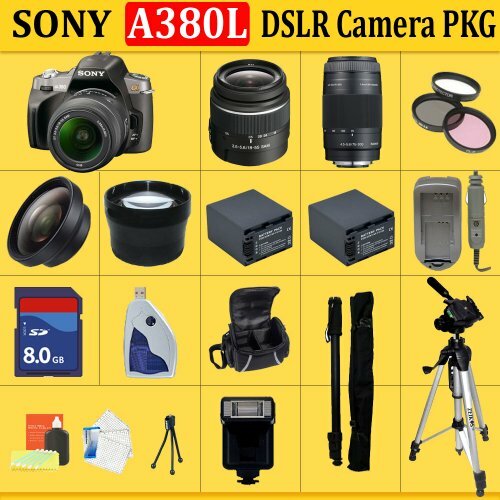 Sony Alpha A380 Digital SLR with 18-55mm + 75-300mm Lens + HUGE ACCESSORIES PACKAGE INCLUDING WIDE ANGLE MACRO LENS + 2X TELEPHOTO + 3 PC FILTER KIT + 8GB SDHC MEMORY CARD + 2x EXTENDED LIFE BATTERIES + CARRYING CASE + TRIPOD + MONOPOD & MUCH MORE !! Sony Alpha A380 is a compact DSLR designed around a 14.2 (effective) megapixel, APS-C format CCD sensor, which utilizes a Sony BIONZ image processor to capture and process image files as RAW, JPEG, or RAW+JPEG at speeds of up to 2.5 frames-per-second (or 2 frames-per-second in Live View mode). The Alpha A380’s body design is smooth and rounded, and features flush-mounted, yet easy to use camera controls. 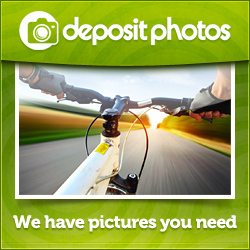 JPEG image files can be recorded in a choice of 3 compression ratios onto Memory Stick PRO Duo or SD/SDHC memory cards. BC-VH1 Battery Charger,NP-FH50 Rechargeable Battery, Shoulder Strap, Body Cap,Video Cable, Software CD-ROM, 1 Year USA Limited Warranty.